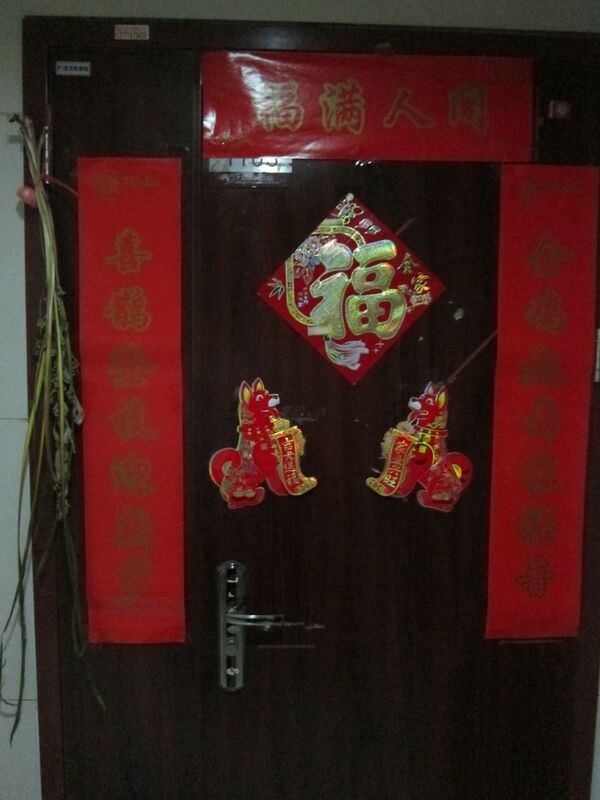 Our apartment’s door cannot be more Chinese… On the left, the branch. Sorry about the poor photo quality, the hallway is quite dark. So these evil spirits are a bit like vampires I guess. More about superstitions and spirits in these other posts: Chinese superstitions, pregnancy taboos in China, Chinese zombies and the Ghost Festival. Uhm, I looked it up on Taobao but house flags are not common here. However, there are many vendors who make custom flags :D https://item.taobao.com/item.htm?id=549402882781 Andy could design your own, haha. Hadn’t heard of this one Marta…another one to add to the long list. I never stop learning new things, hahaha. Very interesting. 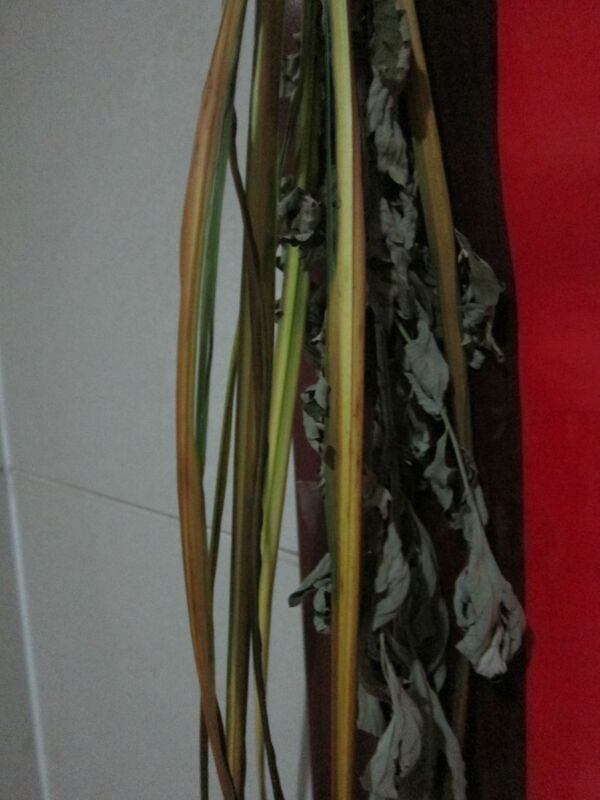 I’ve never know about this superstition of hanging plants (is it scallion?) 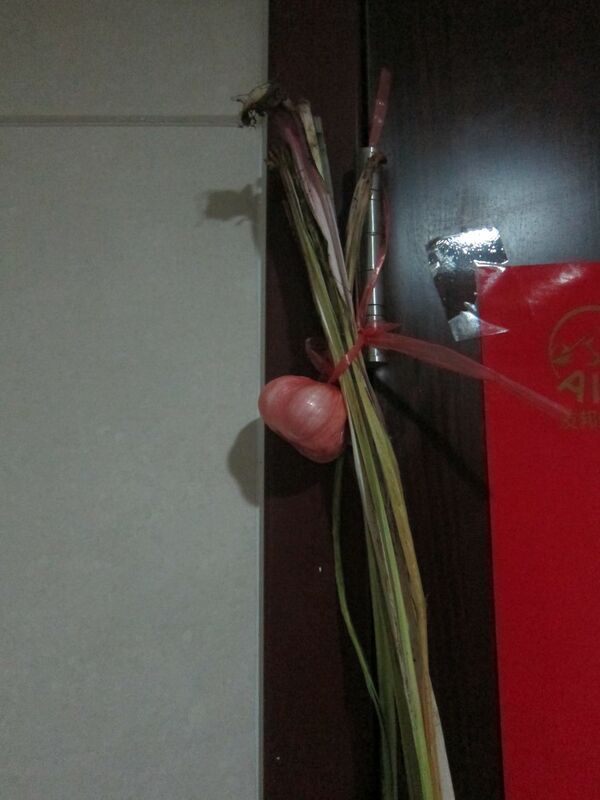 and garlic outside the door to protect against spirits. Don’t you find this similar to stories in the West about using garlic to protect against vampires, ha? I just wonder where is the bg image of this post? 哈哈没事，我删掉了！I had not heard about that realgar rice wine before, but I know the story of the nian beast hehe.